September in Plague Park, originally uploaded by Brin d’Acier. Corner of Annankatu and Bulevardi in downtown Helsinki. The park on the left is known as Plague Park as the victims of the 1710 plague were buried there. 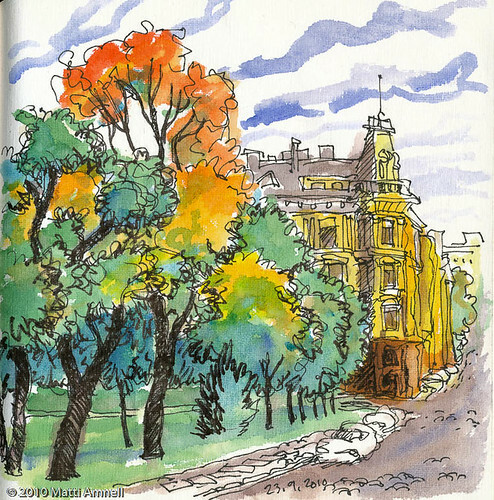 This entry was posted in Sketch of the day, Sketchbook and tagged architecture, city, finland, helsinki, ink, landscape, watercolour. Bookmark the permalink. Great art, great watercolor art. I really do love it.